My RA has been truly terrible lately. I’m having monumental amounts of trouble getting out of bed in the mornings and, even after I do, it hurts to do literally everything. To pick up my cup of tea. To put my pants on. And don’t even get me started on how much it hurts to change diapers, dress my two-year-old, hold my 20lb six-month-old, and the million other things I have to do every single day. I am in so much pain that I am currently only surviving by taking lots of Vicodin and letting PBS Kids temporarily raise my children. Because of how horrible things have been lately, last week my rheumatologist and I made the decision to switch from Enbrel to Orencia. I like and trust my rheumatologist, so I believe this is a good decision. I also love his nurse – she is so helpful and always on top of everything. I’m fairly positive that she sent the paperwork for the prior authorization and prescription the same day I was in the office last week. But, just to be safe, I waited a whole week before calling Aetna Specialty Pharmacy to try to place an order for my new medication. Due to unusually high volume we are temporarily experiencing longer than normal wait times…. I can see the Orencia in the system, but it’s rejecting it when I try to process it. Did your doctor tell you why you are switching medications? I tell her that we are switching because the Enbrel stopped working. I tell her my doctor sent the prior authorization paperwork last week. No. The last thing I see here is dated November. I tell her I am certain that is not true. 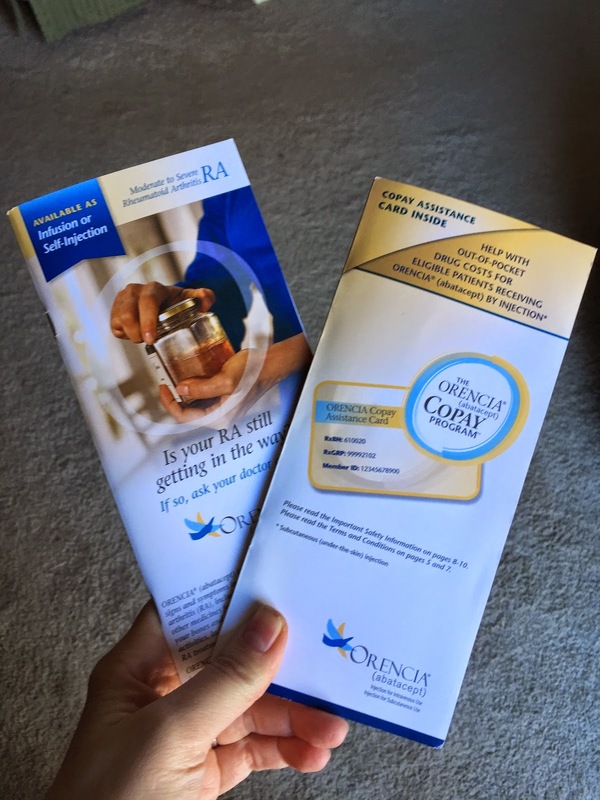 I tell her I visited my rheumatologist last Monday and that I am certain my doctor sent the information about the Orencia the same day – otherwise how would she even see that drug in my file? I tell her I purposely waited a week to call so that there would be time to process the paperwork. Well the preauthorization department isn't showing that anything has been processed. Your doctor hasn’t called to have your drug changed to Orencia. All I can see is the previous authorization for the Enbrel. I repeat that I am positive that my doctor sent the prior authorization paperwork last week. And I inform her that the pharmacy could see the Orencia, they just couldn't process it for some reason. I ask how they could see that drug in my file if my doctor hadn't sent the information? What particular fax number did he send it to? I say that he probably sent to the same number he sent the Enbrel paperwork to – that he clearly has the correct information since he was able to order the Enbrel for me. Your doctor hasn’t given us the information on Orencia. All I can see is the previous authorization for the Enbrel. She repeats herself and I repeat myself several times. Finally, I agree to call my doctor to double check since I don’t see any other option and she isn't offering me any other options. Then I ask her, once my doctor does give them the proper information, how long will it take me to get the prescription approved and get the new medication? I tell her I am having trouble caring for my children and that I can't afford to wait any longer. I ask if I will need to call back or whether they will call me once they hear from my doctor? I can’t answer those questions. That’s handled by a different department. Is there anything else I can help you with? No. Apparently there is not. I hang up and look a the clock. It is 1:28PM. I spent almost an entire half an hour on the phone and made literally no progress whatsoever towards getting my new medication. For good measure I call and leave a message for my nurse - knowing full well she already contacted the pharmacy. But asking her to call them again is the only thing I can think of to do. I feel beyond frustrated. All this system is doing is making me suffer longer, forcing me to fight for my medications when I am feeling my absolute worst. And something like this seems to happen every single time I call the specialty pharmacy. In fact, I even predicted some of this dialogue at lunch this afternoon with my mom before placing the call. I hoped I would be wrong - but unfortunately I wasn't. It seems like the pharmacy is almost never able to help me without me having to battle for what I need and stay on top of them. And, perhaps the most frustrating part, even if I eventually manage to get this new medication, there's no guarantee that it is even going to work! Your song is the same for many of us who deal with chronic disease, and IT IS SO FRUSTRATING!!! Sadly, I know all the verses you sang by heart.